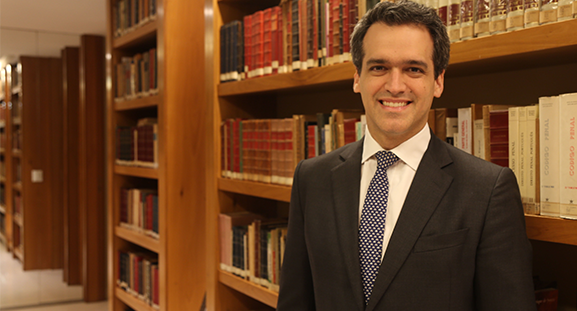 Rodrigo Falk Fragoso is a professor of Criminal Law for the Graduate Program at PUC-Rio. A criminal lawyer since 2000, he works in cases of financial crimes of major national repercussion and in favor of banks and insurance companies that have suffered economic frauds. Holding a Master’s Degree in Criminal Sciences (Candido Mendes University), with the dissertation “Agente Provocador” (2006), he specialized in European and Economic Criminal Law (University of Coimbra/IBCCrim), and completed the course “Leadership in Law Firms” (Harvard Law School). He was a professor of the Graduate Program in Criminal Law, Criminal Procedure and Criminology at Candido Mendes University (2010), and of Economic Criminal Law at the Law School of FGV-Rio (2008-2009). Graduated from Law School in 2000 at Candido Mendes University (Downtown Campus). Os sete pilares do complianceOs verdadeiros “motores” da Lava-JatoQuando o arrojo vira gestão temerária?